When diabetics get their annual flu shot, they should discuss a complete immunization review with a doctor, nurse or pharmacist. This is the advice from the American Association of Diabetes Educators (AADE), who is strongly encouraging all diabetics to be fully protected before the flu season starts. In fact, diabetes makes it harder for the immune system to fight off some infections, leaving people at a higher risk for serious complications from vaccine-preventable diseases, like influenza, pneumonia, hepatitis B, tetanus and shingles. 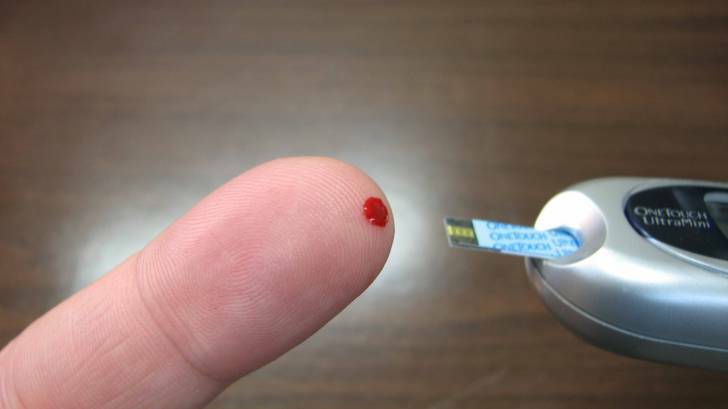 “People with diabetes may be at higher risk of serious problems from diseases that could’ve been prevented with vaccines,” said Evan Sisson, PharmD, MHA, CDE, FAADE. The AADE has partnered with the Centers for Disease Control and Prevention (CDC) to spread the word on vaccines that are important for people living with diabetes. Even if you were vaccinated at a younger age, the protection from some vaccines can wear off with time, says the CDC. Influenza vaccine: A flu shot is the single best way to protect against seasonal flu. Flu puts people with diabetes at high risk for health complications such as increased blood glucose levels. Tdap vaccine: The Tdap vaccine protects against three serious diseases caused by bacteria: tetanus, diphtheria, and pertussis/whooping cough. Zoster vaccine: The zoster vaccine reduces the risk of developing shingles and Postherpetic neuralgia (PHN), serious illnesses for unvaccinated people as they age. Pneumococcal vaccine: People with diabetes are at an increased risk for death from pneumococcal infections, which can include infections of the lungs, blood, ear, and lining of the brain and spinal cord. These recommended vaccines are especially important for adults with chronic conditions, who are more likely to develop complications from infectious diseases, says the CDC. These vaccines are readily available to most pharmacies in the USA. To schedule a vaccination review session, please visit Vax-Before-Travel. Additionally, the CDC publishes its Vaccine Price List which includes the private sector prices for general information. Various vaccine discounts can be found here. For more information about diabetes and vaccines, please visit: www.diabeteseducator.org/vaccines. The American Association of Diabetes Educators is a multi-disciplinary professional membership organization dedicated to improving diabetes care through innovative education, management, and support.